We covet our Kipiis Bib Clips designed by mom designer and mom who believes that architecture, art and design should somehow meet! That's what's cool about her products and cool about these bib clips! We've had ours for a while and they've been so useful and beautiful (and easy to clean)! These little babies let you make anything into a bib - a napking, cloth, towel.. you name it! 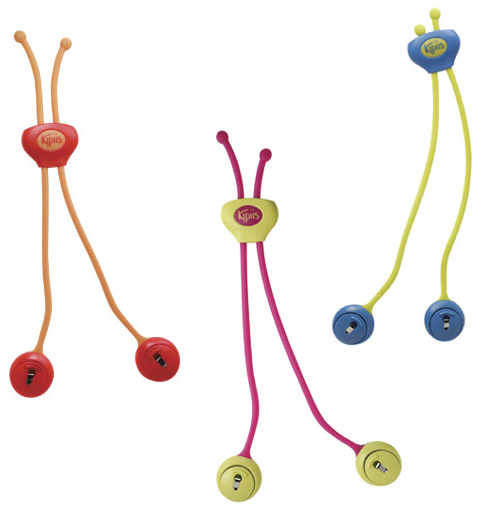 Throw them in your diaper bag, trunk or pocket... they're a must-have for moms on the go! Functional yet stylish...what more could you want?